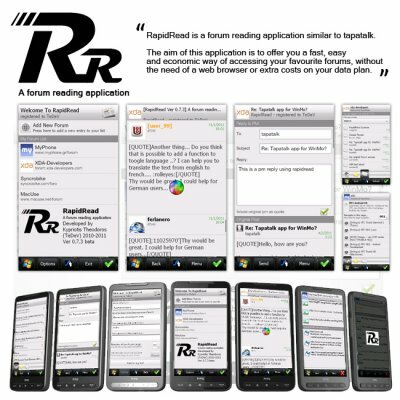 Summary: RapidRead is a forum reading application similar to tapatalk. 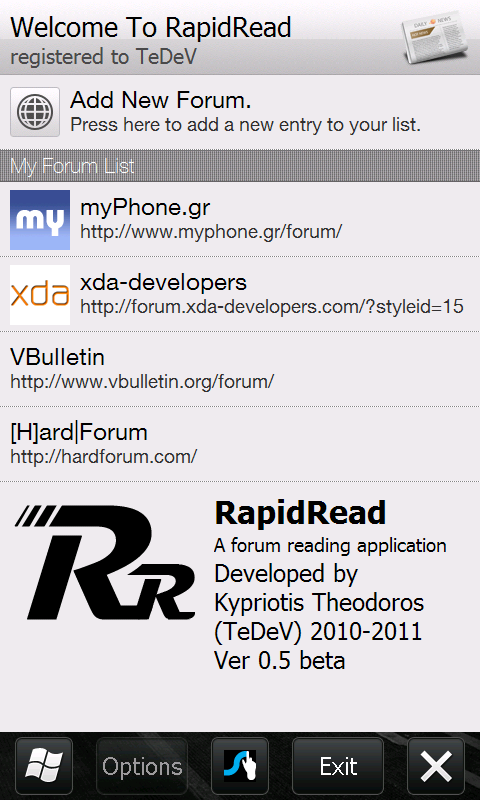 RapidRead is a forum reading application similar to tapatalk. The aim of this application is to offer you a fast, easy and economic way of accessing your favourite forums, without the need of a web browser or extra costs on your data plan. Where can i use RapidRead? RapidRead is for Windows Mobile 6.5.x and below. I haven't been able to test this on different resolutions or devices, but it should work everywhere. 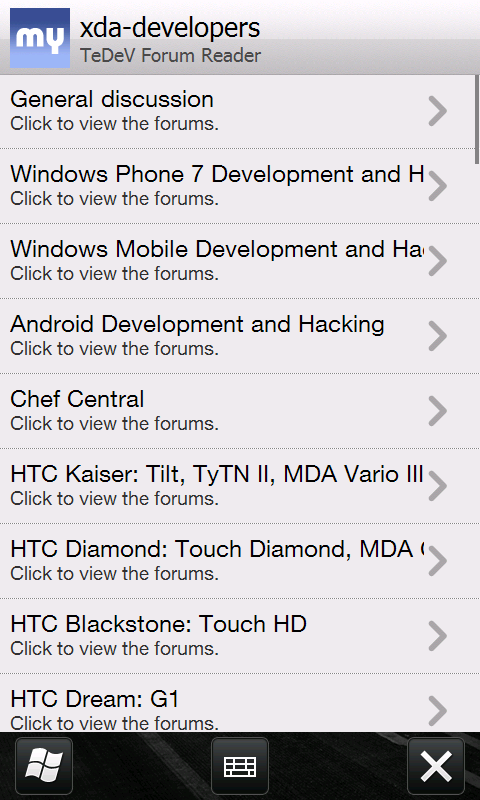 - Fixed Multi level subforums. - Fixed Message box height. It is now dynamical so it should work great on all screens. - When you login, it shows your username now, instead of "TeDeV"
I consider this release to be a major update, since i re-wrote everything from the start (i spent a lot of hours doing it). don't forget that this is still a beta version, which means that some things might not work correctly. Dont work in hd2. No conect. you should write: this release is free without the ability to log in. and if you need it, you have to pay. again a lite version, free testers and in the end a pay app. nice app! not perfect of course but it gets better! awkward spacing beneath posts, but I like the app!